When is a nuclear power plant not a nuclear power plant? 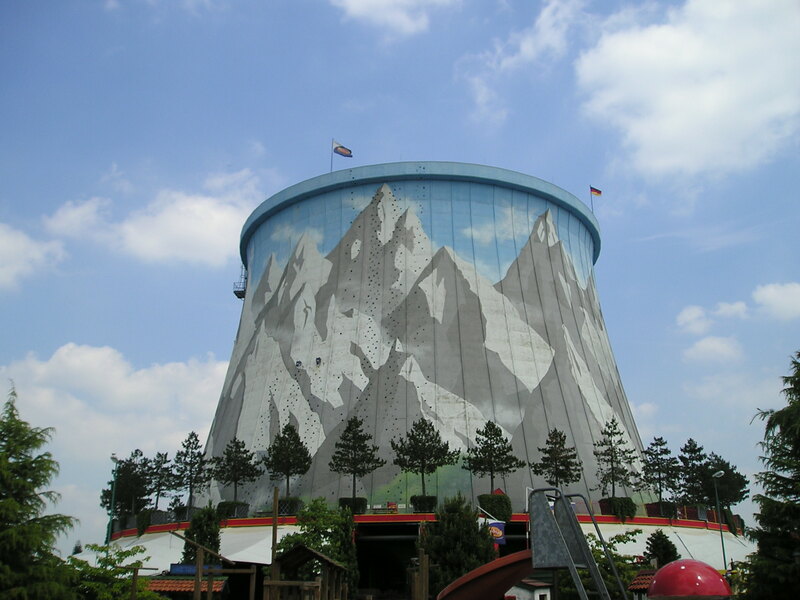 When it winds up being turned into an amusement park… which is what happened when Germany found itself having to make alternative plans for a nuclear plant that went belly up! 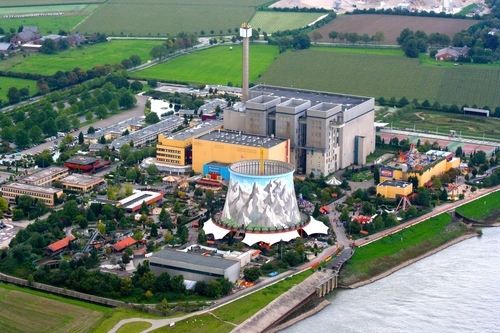 Way back in 1972, construction began on the proposed power plant, which was located about an hour outside of Dusseldorf. 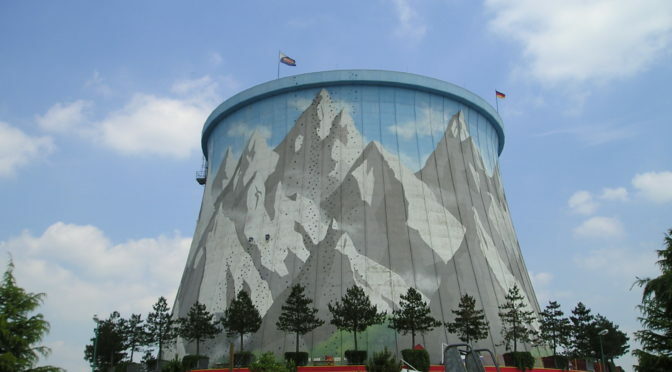 But as will happen with such projects, it quickly ran afoul of skyrocketing costs and public controversy.It was completed in 1985… just in time for the Chernobyl disaster make the world think twice about the viability of nuclear power. 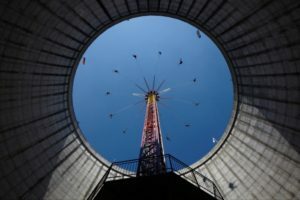 By 1991, the whole project — which had never gone operational despite an investment of over $5 billion — was scrapped, with the property put up for sale. And that, friends, is where the awesome begins. Because in 1995, the whole kit-and-caboodle went up for sale, with a Dutch investor named Hennie van der Most buying it up and transforming into into what was originally known as Kerwasser Wunderland. Now, seeing as that translates to “Corewater Wonderland,” it’s probably pretty easy to understand why in 2005, they changed the name to Wunderland Kalkar. Amazingly, the cooling tower — aka that thing most people think of, visually, when they picture a nuclear power plant — still sits at the center of the park. 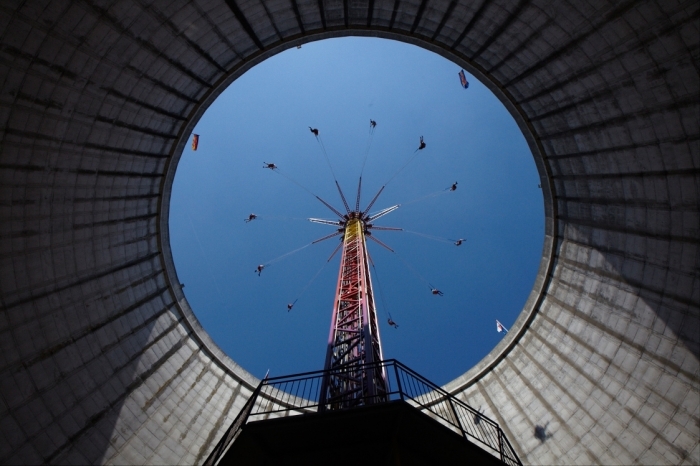 But now, the exterior has been transformed into a pretty amazing 130-foot-tall rock climbing wall, while the inside houses a chair-swing ride. A one-day ticket to the park will cost around $25, including a tour explaining the history of the unique park. Previous PostShelter Puppy Heals Fractured HeartsNext PostNeed Inspiration? Try This Cool Content Generator!